example illustrates simplicity of sap.m and $.hdb functionality for web applications (see sap.m demo kit reference and $.hdb documentation). With this steadily improving and powerful framework provided by SAP, HANA cloud platform is ideal for any web application. Leverage below code/walkthrough, in addition to exemplary aforementioned documentation from SAP, to create your own website including analytics, scripts for forms, applications, etc. all using HANA backend. 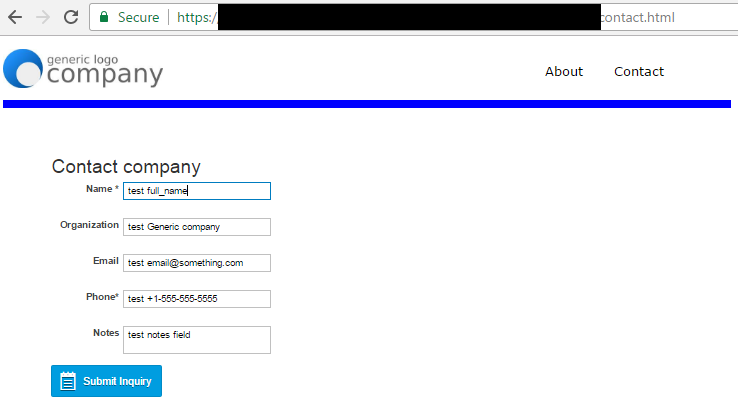 thanks for sharing this example of how to use the web work bench to maintain some records with the HANA DB on HCP. For your new UI development, try to use the Web IDE. I think it is a good and simple example you shared here. 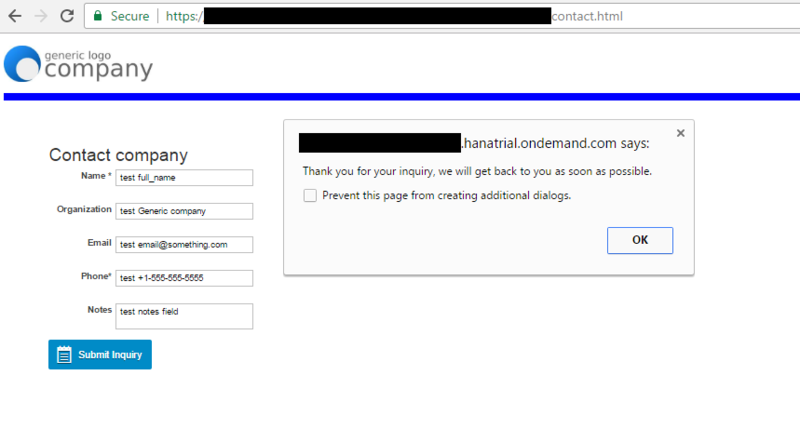 I think it would be helpful to specify what version of HANA / HCP you are using. What version of sapui5? Also, I would recommend to start looking into XML views as that has been the direction (instead of JS views) both will work fine, but for the direction going fwd would be to use XML views. thanks again for sharing.. hope this was a good learning opportunity! good luck on your ongoing dev! Thank you for your feedback. 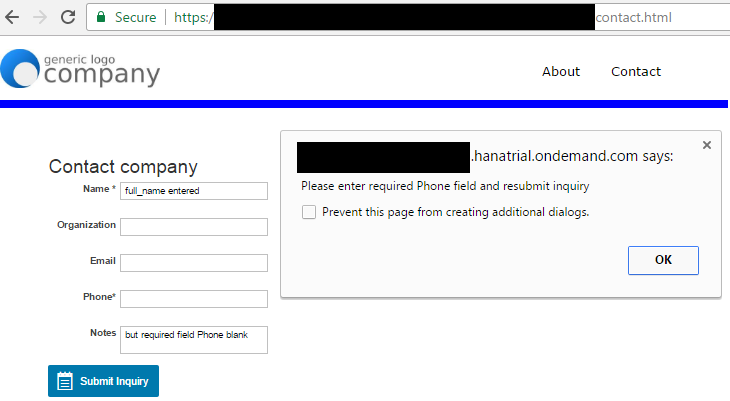 I have created follow-up post Web form with HANA sqlscript stored procedure to illustrate stored procedure. Thanks for a good article, but I get an error : http://linux-ucyy:8090/Affecto/form.xsjs 500 (Internal Server Error). Any idea what the cause can be. 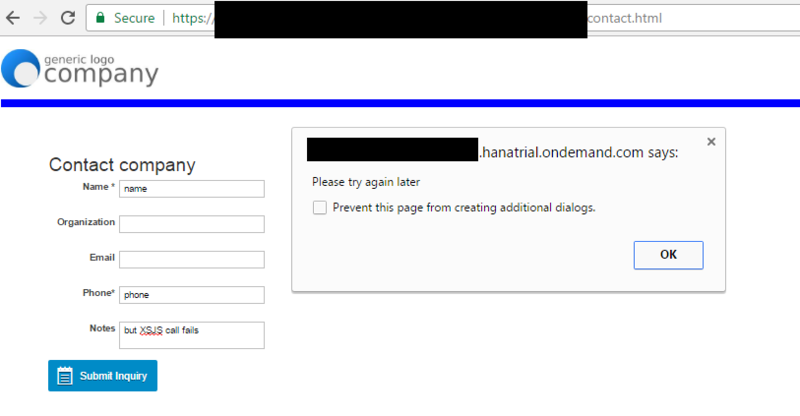 Im running Hana express 2.0. It may be some problem with my 2.0 version and the script..